Ever since the before time, in the long long ago (i.e., the beginning of 3D game and world development), level designers and worldbuilders have had to use a keyboard and mouse to navigate the spaces they build. Complex multi-view screen layouts mixed with constant camera manipulation were needed to find the exact spot where an object needed to be placed. As scenes became more and more complex, it became harder to navigate those views. With today's demonstration, 3D worldbuilders everywhere got a glimpse of the future of level design. We know now that in the very near future, Unity will allow users to walk around a space in VR and place objects with the ease of virtually being inside the space they are changing. This change to a common but inefficient workflow could speed up the worldbuilding process on a level never seen before. This will change the way developers interact with the worlds they build, even if they aren't building for VR. 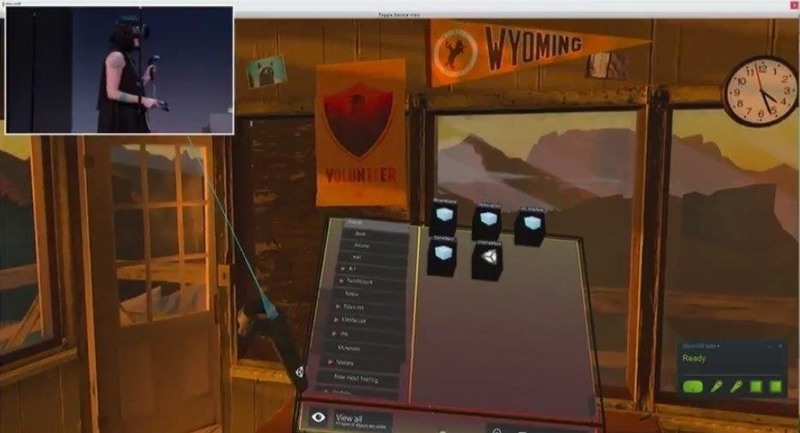 EditorVR is a version of the standard Unity Editor that allows the user to access menus and other Unity components from HTC Vive handheld controllers. Timoni pulled up the Unity Asset browser and quickly made a selection of objects that she wanted to place on the table, then arranged them into an organic collection. The quickness of this was impressive, to say the least. 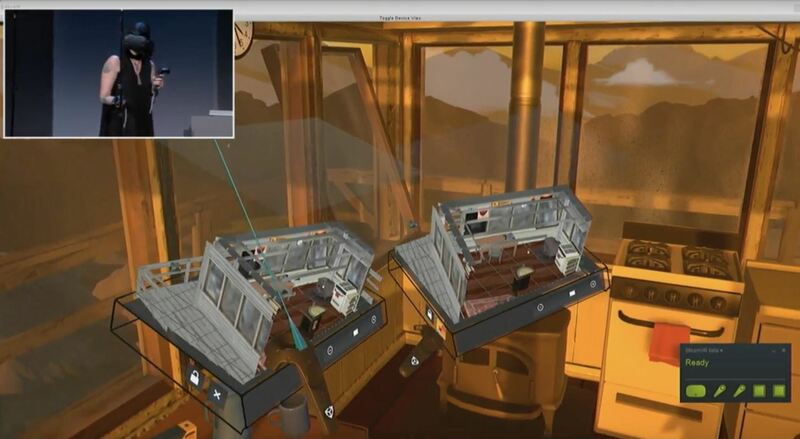 Unity tools such as the Console and the Profiler also made an appearance during the presentation. These debugging and performance analysis tools are very useful in determining what's going wrong. Not having to leave VR to access them is a great addition to this new toolset. Finally, Timoni demonstrated what Amir referred to as the "Chessboard." This tool is an isometric view of the space the user is in. Other world spaces in the application can also be used with the Chessboard in order to move objects back and forth as needed. This is, simply put, very smart design and I can't wait to get my hands on it. These changes, as well as many others mentioned in November 1st's keynote, are in the works and coming to Unity 5.5 and 5.6 over the next few months. Make sure to keep your browsers pointed here at NextReality to stay up today on the latest augmented, mixed, and virtual reality development news.